He just wants her booty, but she'll end up stealing his heart. When the truth threatens to end Ana's adventures, it's the secrets of the dashing Alestair Kincade, Pirate King of the Caribbean, that prove to be the most dangerous. Ana will need to use her wits and charm to not only stay off the gallows, but also to avoid a fate she now considers to be worse than death: being sent home to Panama to a hopeless future. Now an audiobook from Hachette Powered by Wattpad. This book is complete. Reached #1 on both the Historical Fiction and Adventure 'What's Hot' Lists. Book Two is called SCUTTLE (formerly The Reluctant Pirate Queen). PLUNDER (Book One in The Pirate King Series )© 2014 by R.S. Kovach All rights reserved. No part of this work may be reproduced without the author's written permission. Author Post: I went to the Caribbean! 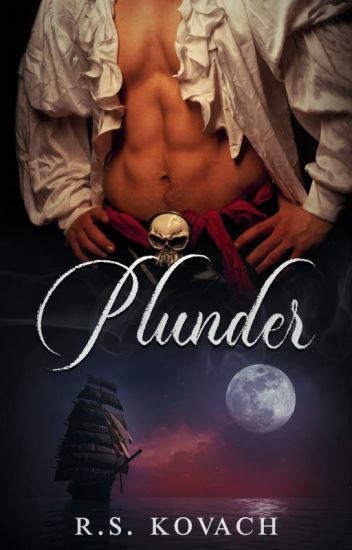 Listen to this Book: YES, Plunder is Published! Shy and awkward Elizabeth Montgomery doesn't think she'll ever find love. As her family's former plantation struggles in Reconstruction era Virginia, she's afraid she'll find herself either betrothed to the wrong man through an arranged marriage, or a spinster living with her widowed father. However, Elizabeth's sister Amelia is vibrant and charming, and sure to secure a valuable match. When two wealthy, eligible bachelors come to her family's plantation home for a visit, Elizabeth finds that she has to depend on her faith more than ever. Edward Stanton is a cocky bank owner's son, and his father, Charles, is pressuring him to take a wealthy wife to create a banking empire. As Edward resists his father's demands, the stakes become higher and higher, pointing to evidence that Charles has underlying motives for forcing a particular match on Edward. Will an unexpected love emerge from so much greed and manipulation? When the Hemmingway's go into debt, their only hope out of their dilemma is their daughter, Rhea. Rhea realizes the situation and immediately agrees to help her parents. But marriage? Not what she hoped for, especially when she had become known to the ton as a Wallflower. When it comes time for Rhea to meet her future beloved, she's shocked at how intense their bond is. Although Hadrian Vale abruptly refuses to marry the girl, he immediately has a change of heart when he meets her. But somebody has held a grudge against the Vale's, and soon Hadrian finds that his wife is being victimized for it. Can he protect the woman that he promised to cherish, in sickness and health? And maybe even the woman he's come to love? "Why do I remember every detail of the day I was born? It's not just because of the dream; it's because today, October 10, 1997, will be the seventh time." Eleanor Blackwell is turning seventeen and although excited about her birthday, she already knows what it will bring. At seventeen Ellie will meet the boy of her dreams, get swept off her feet, and fall in love. But Ellie won't get her happily ever after, because right before her eighteenth birthday she's going to be murdered. How does Ellie know this? Because this isn't the first time she's lived this story...it's the seventh. Every time Ellie is reborn she finds herself surrounded by the same souls of both her friends and enemies, the same love and, ultimately, the same death. Will Ellie be able to discover the secrets those closet to her are hiding? Will she finally be able to change things enough to alter her destiny this time around? Or, is she cursed to repeat the same mistakes she's made seven other times before and return once again? Nothing has gone as planned. Logan of the Usani family had every intention of persuading the powerful Ricell family that he was worthy enough to marry their daughter. He knew it would not be easy, he knew it would take remarkable effort and sacrifice on his part but he was willing. His love for her is strong. Everything changes when he is accused of killing her brother and the blood lining his clothes tells no other story. Will their love survive or will it die with him? A storm is brewing and a war could be on the horizon. Can the Usani family find out what really happened and save their brother or will they be too late? ❝I wouldn't get so confident Captain,❞ Alaina says, the dagger twirling in her hands behind her back, his hands on her hips. She wanted to pull away, but the way his heart was beating against her was undeniably comfortable. Captain Hunter is a bad boy. A pirate who likes killing for the heck of things, a boy who likes girls with tight dresses and a boy who also loves the reckless sea. But what happens when a girl beyond compare boards his ship? She's a ingenious, beautiful lady who's only set on one thing - to kill him. But the Captain doesn't suspect a thing. So what will be do when he finds out that he's just been played and completely lied to? Lady Isabel de Clare is on the run - and out for revenge against the man she blames for her brother's death in the Crusades and her father's descent into madness. When she finds Black Cade, she isn't expecting him to protect her from the English fiancé she's fleeing. She also doesn't believe the tales of seillies and magic, until she uncovers a secret one night while under Black Cade's protection. At first intrigued by the soft-spoken yet strong Isabel, Black Cade is soon faced with a difficult decision: protect her against her enemies despite knowing she's there to kill him or leave her to deal with an abusive man out to steal her title and gold. When his secret is revealed, he decides to trap the beautiful Englishwoman in a loveless marriage to guarantee her silence and his life. Neither expects their hearts - or lives - to be threatened by the union, until danger breaks out in the Highlands, pitting fae against human, English against Scottish, husband against wife. A privileged runaway. A notorious pirate. A vengeful lawman. A bloodthirsty killer. A young woman turns to a life of piracy to escape a life of privilege, unwittingly reuniting with the childhood friend who abandoned her. Determined to forge a new life for herself, she denies the old feelings that his return have stirred up. They forge a temporary truce to achieve their ends. However, their uneasy alliance is tested by words unspoken and murky secrets. To survive in the harsh reality of their world, the pair must not only repair the damage between them, but uncover the secrets of the haunting myth who hunts them. Highest Rating #4 Historical Fiction. Lady Charlotte has never been the typical English lady. Nor does she intend to be when her uncle makes a bid to inherit everything - the land, the money. All that had been her father's a decade before. So when her uncle forces the issue, Charlotte knows her time is up. She is making her move. As the poor gentleman, Charlie. In two weeks' time, she plans to take control of her future while stripping her uncle of his. Lord Greyson, the Earl of Claymore, can't seem to forget the mysterious lady he saved from being compromised, only for her to punch him in the face and descend a balcony to be rid of him. He doesn't expect to meet her again so soon, and not like this. As a lad who looks distinctly familiar, with a sharp tongue and a spirit that demands independence. What else is Greyson to do but watch over his little caterpillar, offering her safety and employment in his stables? It's the perfect solution. Or so he thinks. What neither one of them expects is the sexual tension that ignites between them. What's a girl to do when she finds herself falling for her employer. And that he seems to feel the same...for his stable hand. But that's the least of their problems as a common enemy threatens to tear them apart, one that has no intention of letting either one of them off the hook. It's winner take all - breeches edition. And Charlie plays to win. The Duke of Marlborough, a wealthy rake with the reputation of the Devil, wins an unusual prize in a game of cards, the prickly and thorny Cordelia Rivers.